Home random I Don't Bite Hard! Wow, I can't believe it's Tuesday! Sorry for not blogging sooner. It was a crazy weekend in DC and then I was sick yesterday and just couldn't muster up the energy to turn my computer on. 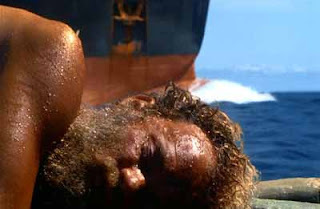 Spent a very relaxing/recuperating day watching "CastAway" with Tom Hanks. I forgot how good of a movie that was, a little depressing though for a cold day, but it still made me tear up a little at the end. Hope to post more during this week. I just got some great new jewelry that I can't wait to share with everyone! Till then- Have a great Tuesday!